The corpus luteum is the end-differentiated state of the primordial follicle and one of the major endocrine substructures of the ovary. The formation and involution of the corpus luteum occurs by processes that are regulated by endocrine, paracrine, and intracrine agents of the pituitary, the uterus (in nonprimates), the ovary, and the immune system. The physiological role of the corpus luteum is the secretion of products necessary for the establishment and maintenance of pregnancy. The more prominent luteal products are progesterone, estrogens, androgens, and peptides such as relaxin and oxytocin. Other products include inhibin and its family members, eicosanoids, cytokines, growth factors, and oxygen radicals. It is now evident that the historical perspective of the corpus luteum as an organ of progesterone and estradiol secretion governed solely by feedback regulation of luteinizing hormone (LH) is inadequate. 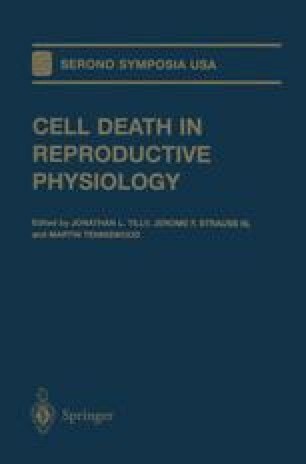 In this chapter, we offer one view of corpus luteum regression and its regulation based on recent findings of this lab and others using the pseudopregnant rat model.